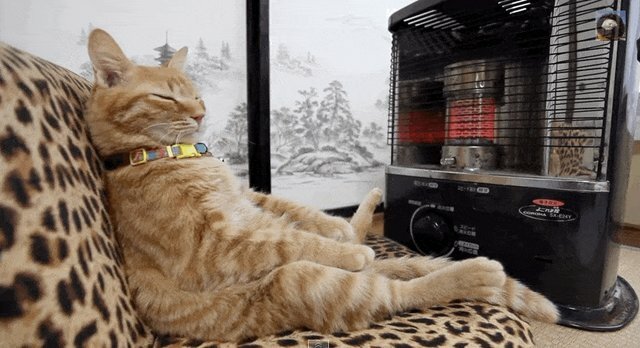 It's no secret that cats enjoy the finer things in life, but one cat in Japan has figured out exactly how to spend the coldest months of the year. 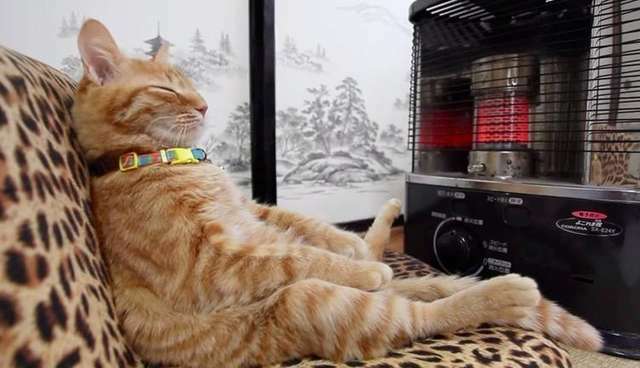 Splayed out in front of his human's heater, purring away in serious relaxation mode. Don't you wish you could be this cat right now? He even looks over at his human like, "Don't even try." And when his friend comes over to try and share the warmth, relaxed cat shoes her away!